$ 3.99 Save up to 66% off! Can Use To Stream Netflix, Kodi, MovieBox etc. No more 3 year deal. User can’t be ultra specific for server selection. NordVPN is a true veteran of the VPN industry. One is because it has survived in the VPN industry for over two years. And two, because NordVPN has not only survived, it has thrived in the VPN business. Of course, NordVPN is helped by the fact that the company is based in Panama of all places. But that doesn’t make up for the fact that the people behind NordVPN have worked hard over a span of years to bring a fantastic product to the market. 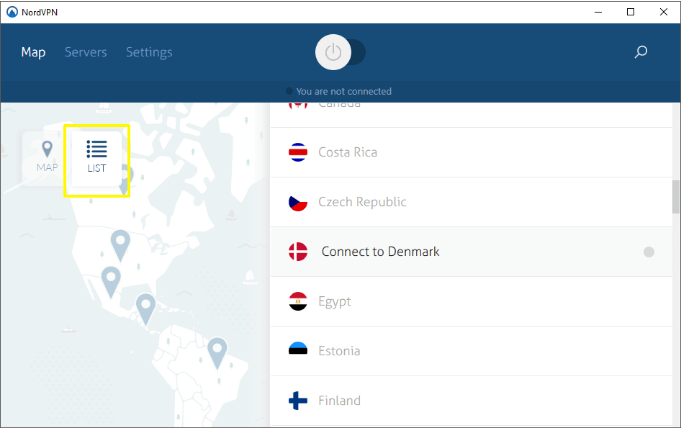 Overall, NordVPN has several powerful features built right into its service. And these features combine extremely well with each other to give the user the ultimate experience when it comes to a VPN service. 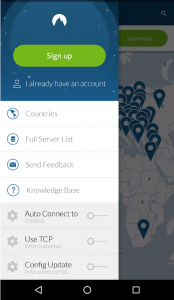 The NordVPN application boasts an intuitive interface and is extremely easy to use. The whole package is simplicity personified. And that is even more impressive when you factor in the fact that NordVPN allows users to have a great amount of control. NordVPN doesn’t just give users a VPN app. The company lets users choose their location as well as how they use it. A VPN connection is something that all VPN service providers offer. NordVPN is a bit different. In addition to a reliable VPN connection, it also enables users to select a VPN server based on their own needs. To put it another way, NordVPN changes its quality of VPN service based on what the user wants to do. For example, if you want to stream something from a website, then NordVPN provides you with a different server. If you’re a paranoid when it comes to privacy then NordVPN has some clever solutions for that too. And then there are other features such as anti-DDoS and anonymity related which act as icing on the cake. Let’s talk a bit about money before we move ahead. Since what good is a NordVPN review if you can’t even afford it. To start off, a simple NordVPN subscription will cost you around 11.95 for a single month. That is only if you sign up for NordVPN for only one month. The company calls it the SIMPLE plan and you can probably guess why. If the user shows a bit more confidence in NordVPN and subscribes for the six-month package then the rate drops to around $7 a month. The abovementioned package is called the STANDARD package and it is 41 percent cheaper than the SIMPLE package. Finally, there is the one year plan which lowers the rate even more at $5.75 per month. You’ll be required to pay $69 on an annual basis. NordVPN regularly introduces discount seasons during which you can sign up for the service for as low as $4 per month. But you’ll have to get lucky to avail that offer as it doesn’t last very long. Potential customers have the option to pay either with a credit card or Bitcoin. Other payment methods such as PayPal and third-party payment gateways are also supported. Along with that, there is also a three-day trial that costs a user no money. In other words, it is free. The only problem is, you can only sign up for the free trial if you ask for it. In other words, the free trial option isn’t explicitly mentioned on the site. But if you go to the NordVPN FAQ section you can find more about the free trial option. Failing that, you can always rely on the 30-day money-back guarantee that comes with every subscription package. All VPN connections made either through the desktop application or the mobile application use the OpenVPN protocol. That means, each user’s traffic is 256-bit AES encrypted. Moreover, all traffic is protected by a 2018-bit SSL key. The NordVPN application enables DNS leak protection by default. As you’ll probably know, Tor over VPN direct all internet traffic through a VPN server first and then through the ultra-secure Tor network. This basically allows all users to access websites that lie in the deep dark web. Most of these websites have .onion extensions. Regardless of which website you access, the extra layer of anonymity certainly helps to keep you safe from hackers. The other advantage of using Tor over VPN is that the user’s Tor exit node gets altered on a regular basis. Each user’s IP address also changes after a specific period of time has passed. What About NordVPN Double VPN? The double VPN does exactly what it sounds like. Some say it is redundant. Because an internet connection that is protected by a 256-bit encryption and has a shared IP address is more than enough for 99 percent of the people. If you want more security than that, then God knows what are you trying to hide. It better be some nuclear code, because otherwise, you’re just wasting resources and money. The reason we don’t recommend the double VPN for normal use is that it slows down the VPN even further. You must have heard about the term “double hop”. While it certainly provides more security, it decreases speed to a significant extent. Unless it is absolutely necessary, you should use the standard VPN encryption. NordVPN is one of the rare VPN service providers that provides a genuine zero-log policy. A lot of VPN providers promise to have a zero-log policy. But very few of them actually follow up on that promise. We all know that most VPN providers say that they don’t keep logs. They mean that they don’t keep a record/log of what the user is looking/consuming while on the internet. NordVPN does not keep usage logs. It also does not store session logs. And the reason why NordVPN is able to hold up its side of the bargain is because of its location. The company is based in Panama. That means NordVPN does not have to comply with any data retention laws. A lot of VPN providers have no choice but to provide information about their users to law enforcement agencies because they are situated in “unfavorable” countries. And other information related to payments. 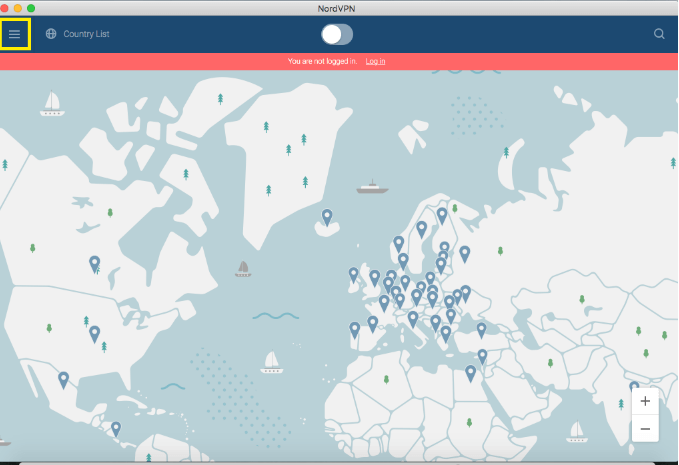 NordVPN offers new users to choose servers on their own terms. By that, we mean that users are free to choose any type of server the want to. With that said, it is also true that the majority of the NordVPN servers are basically standard VPN connections. These make up the major part of the 500 plus locations NordVPN offers to new users. Along with that, NordVPN also provides over 2000 IP addresses and the total number of countries is 50. Users are free to optimize their VPN servers according to their needs. Read more about these optimized servers in the features section of this NordVPN review. As mentioned earlier, NordVPN boasts more than five hundred servers which are spread out in over fifty-eight countries around the world. If we’re talking about the United States of America specifically, then NordVPN has hundreds of servers there as well. Both of these countries have a few dozen VPN servers each. Of course, we all know that no one is ever going to fully utilize those 500 servers. Most people are happy with just five or maybe ten. The downside to offering so many servers with not much depth is that there is no option to choose the province of your server. You’re free to choose the country, but no province. So if you were looking at NordVPN because you wanted to access content that was region locked, maybe NordVPN isn’t for you. Maybe for some of you, but not for all of you. For example, NordVPN wouldn’t be a great option if you want to bypass MLB.tv blackouts. These blackouts block users who reside in specific regions of a country. Mostly the United States of America though. Because of some old content licensing issues and other restrictions. Usually, the rights to show a game to a specific audience is split between broadcasters. And that causes some problems. Because according to official sources, NordVPN guarantees new users 99 percent uptime. And perhaps it is quite easy for the company to make such promises. With so many servers to choose from, realistically speaking, you will always be able to connect to one of them. With that said, you will get to see a lot of “Server down” status in the list of server available in the NordVPN application. Perhaps it’s just a bug. Maybe NordVPN servers do go down with that frequency. From our experience, it’s not worth finding out either. Hopefully, NordVPN will iron out these issues in the next iteration of their apps for all platforms. But new app or no new app, NordVPN is still a very reliable VPN service provider. You will probably never get your connection dropped when using NordVPN application. As indicated earlier, you’ll only experience slight instances where the application hangs. For a few minutes that is. The application hangs most often when users try to connect to a server. If your application also hangs, you can try to cancel the current tasks and restart the application again. And don’t think that just because you have selected an auto-server, you won’t experience any glitches. 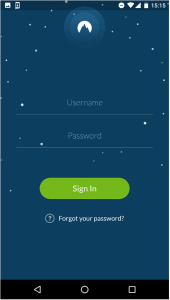 To use NordVPN you first have to register for an account on its official website. After that, the setup is pretty self-explanatory and simple. Basically, you just have to download the relevant file from the official website. And then install that file on our machine. 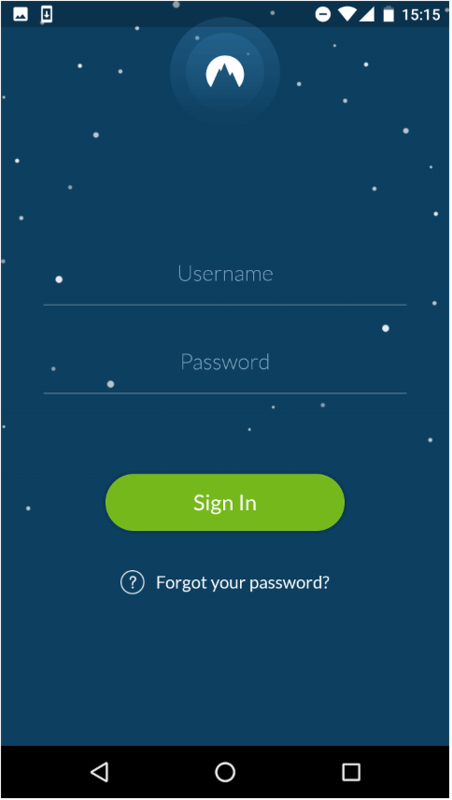 The official NordVPN desktop app will always show users the main screen that asks for a username and password on startup. Needless to say, user’s will be required to log in each time they start the desktop application. 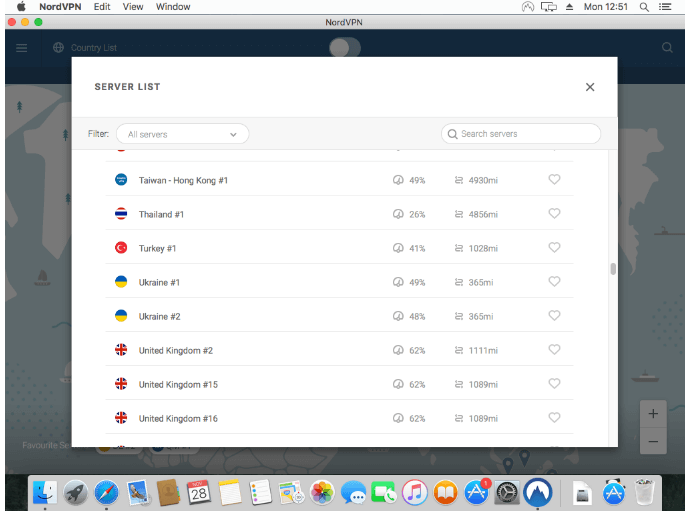 The NordVPN application allows users to organize available VPN server by either server type or by country. Moreover, the NordVPN application also shows available current capacity and latency rates of VPN servers in milliseconds. All of this information is available for each available server. You can just find the one you like and then click the CONNECT button to turn on the application. The best part about the VPN application is that it automatically refreshes server status after a certain amount of time has passed. Which is great since that enables users to know the current status of all servers without performing too many clicks. What Happens When You Connect To NordVPN Application? Firstly, when you are connected to a VPN server, the NordVPN application will show you how many simultaneous devices are currently active on your VPN account. The application also shows you the date when your account expires. It also displays information about your designated IP address along with the location and VPN server capacity. As far as the application interface goes, the NordVPN application interface is great. At least it looks great on the most used operating system that is Windows. New users will find it extremely easy to get used to the interface. The only downside is that the VPN app is slow and unnecessarily bulky. Unfortunately, we can’t really demonstrate that flaw with the help of pictures. But you can check it for yourself as well. Just click on the app icon and notice the number of seconds it takes to start up. Seconds might not seem much in the real world, but in the online world, they feel like hours. In fact, we actually think that you might get confused on whether you actually clicked the app icon or not. Maybe NordVPN will improve the app’s speed sometime in the future, but for now, it moves like a snail. And the reason for the app’s slowness is also pretty obvious. It’s huge number of features and extra bonuses are simply too heavy for a mid-tier computer machine. Desktop or laptop, NordVPN is not going to run fast on your machine. Unless, you have a mammoth $1500 monster. Bells and whistles do have their place. But when they bog you down instead of bringing you up, you need to think twice about having them. Some other people who have done extensive testing in their NordVPN review have also reported that the NordVPN application sometimes does not even respond. In a world where websites and application usually start in microseconds, that is a big flaw. Applications are supposed to feel quick and launch within seconds. An application that doesn’t even start, is nothing but bad news for the company. And perhaps this is an appropriate time to mention another major flaw in the NordVPN application. You can’t access the NordVPN application through the system tray icon. 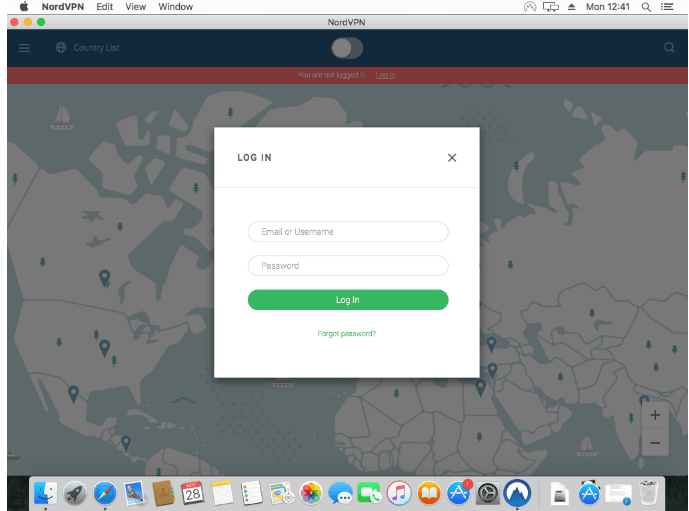 The system tray icon only lets users open the NordVPN application along with the official website and settings. But we have heard from various sources that NordVPN is in the process of coming up with a new NordVPN app. That new application is currently in its beta stage, so NordVPN has an opportunity to improve and we hope it does. Because right now, if your NordVPN application stops, there is no way to make it work other than to restart the application. An update is definitely needed so that NordVPN can resolve the many issues with the NordVPN app. What Does The Settings Menu Do? The settings menu enables the user to change a lot of options. 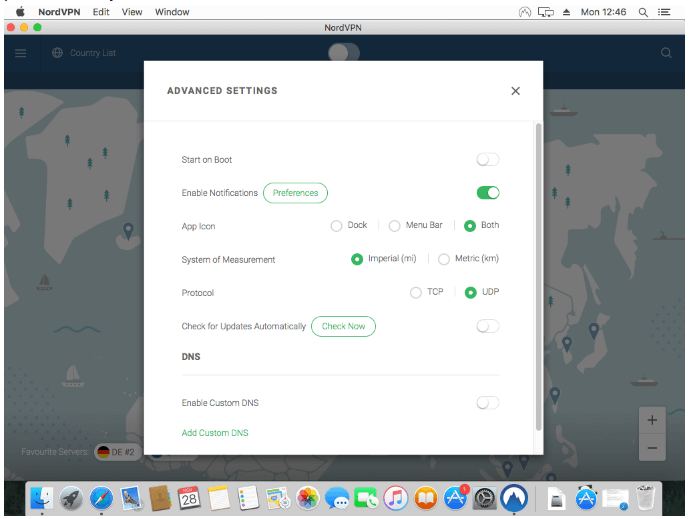 Options such as starting the NordVPN application when the computer starts. You can also toggle other features such as DNS leak protection and SmartPlay. Moreover, the user can set his/her own DNS servers and also modify/alter VPN protocols if they want to. The menu also allows users to add any active process to the Kill List for the Kill Switch feature. As a result, the added application will be cut from having any access to the internet if the VPN connection is dropped. NordVPN mobile application is slightly different from the desktop client. The mobile application shows users a world map that feels very responsive and slick. You can click any of the pins that are shown on the map and select a server in the country that the pin represents. NordVPN mobile application has access to the same server list as the desktop client. And just like in the desktop client you can access those servers via the main menu. Servers that are available are organized by their specialty or by their country depending on user preference. A new NordVPN-only proxy detection bypass special feature. This feature is used to access content on any version of Netflix. All of these types of servers can be toggled on and off individually. There is also a pretty neat search function that is built into the app. Consequently, users don’t have to scroll a ton of pages to search the provided server list. The search function also allows users to connect to the exact server they want to. It is rather unfortunate, that the desktop application, currently, does not have this search bar. It is safe to assume that you’ll be connected to fast servers whenever you’re connected to NordVPN. But there are always some bad eggs. So don’t get discouraged if your connection drops a few times in a hundred years. As far as streaming goes, you should have no problems in playing 1080p videos on YouTube with NordVPN. And measure your VPN server speed. In our experience though, they have very little real-world performance value. The only way to truly measure a VPN speed is through downloading a file while the VPN is turned on and then compare that with when the VPN is not turned on. In out tests, NordVPN performed really well, especially when you connected to servers in the United States of America. The UK servers were not as fast. Generally speaking though, the further you are away from a VPN server, the slower will be the speed. The best servers are usually the ones that are located nearest to your physical location. NordVPN is definitely not the fastest VPN service in the world. But it can hold its own against the likes of ExpressVPN and TotalVPN. If we’re talking about NordVPN features then the one feature that deserves a mention before all others is the number of devices you can connect with NordVPN at any given time. NordVPN is actually one of the most courteous VPN services providers in the market when it comes to simultaneous connections. For just one subscription, NordVPN doesn’t just give you the option of connecting one device, it allows you to connect up to six devices. Which is a number that is quite high if we keep in mind the industry standard number of three. There is one caveat though. Multiple users will have to use different servers. You can’t have multiple devices connected to the same servers. If you want to connect devices to the same server, then you’ll have to at least use different VPN protocols. The default VPN protocol for NordVPN is OpenVPN over UDP. If you’re not satisfied with it, then there is also the OpenVPN connection over TCP. You can easily access different VPN protocols through the official VPN app. The only problem is that you’ll have to set them up manually. They are not supported by the NordVPN app by default. Other features include DDoS protection. These features are incorporated into NordVPN VPN servers. Users who don’t want their connection to drop, ever, can use these anti-DDoS servers as their primary VPN servers. For other users who want to stream a lot of video content, NordVPN offers streaming video servers. Rather aptly named, aren’t they? There is also the double VPN servers which basically mean that these servers have double encryption. What Does Tor Over VPN Mean? Tor over VPN is another type of server that NordVPN offers. In this type of server, your internet traffic is first routed through a VPN and then it is rerouted through a Tor network. This adds an extra layer of anonymity to your traffic and hence secures your privacy. NordVPN also supplies dedicated IP addresses which are ideal for applications and websites that are IP-sensitive. These are sites/application which require the user to log in from a single IP address every time. Examples include banking websites and the like. What About DNS Leak Protection? The NordVPN VPN app is a pretty comprehensive piece of software. It has features such as DNS leak protection and a custom Kill Switch built right into it. What does the DNS leak protection feature do? It blocks DNS requests from reaching your internet service provider. And instead, sends the data through NordVPN DNS servers. As a result, this improves user privacy. The kill switch is basically used to kill the internet. At least that part of the internet that you have some control over. All jokes aside, the kill switch stops online internet traffic when the VPN server connection is not strong enough or worse drops. In the event that your connection does get dropped, the kill switch turns off the internet and hence all your data is protected from any potential leakage. Your internet service provider can’t know what you’re doing on the internet even when your data is unencrypted. All of this is possible because of the Kill Switch. How Is NordVPN Kill Switch Different From Others? Some of the top VPN service providers do offer the Kill Switch feature. But NordVPN has an enhanced Kill Switch feature so to say. The Kill Switches in other VPN services basically disable the internet in its entirety when the VPN connection is halted. The new NordVPN Kill Switch is a bit more considerate in its approach. NordVPN allows users to add individual running processes to a list called the kill list. This kill list will ensure that only the user selected programs are disconnected from the internet when the connection drops. Let’s say you only want NordVPN to suspend downloads only on your torrent client but not on your internet browser. The enhanced NordVPN Kill Switch will then only cut the connection off to the torrent client. This type of granularity is only made possible by features such as the Kill Switch. Can I Watch Netflix With NordVPN? You can watch Netflix with NordVPN. But as is the custom with NordVPN, the company offers users more than just Netflix. 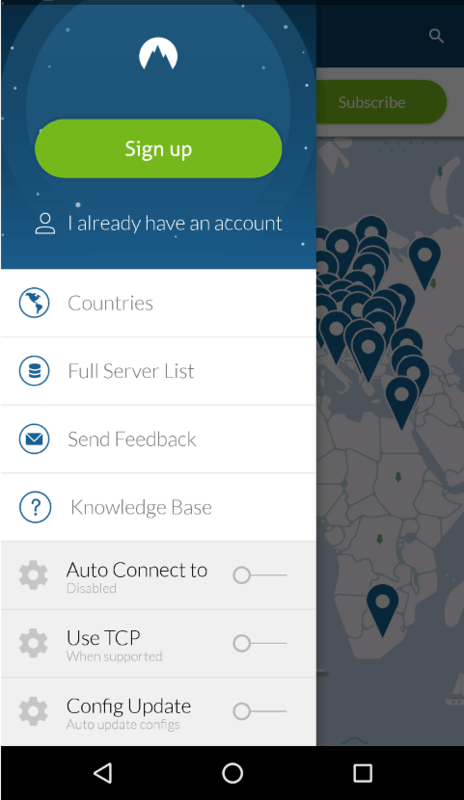 If you just open up the NordVPN app, it will show you a list of servers. Hover over some of those servers and you’ll see the streaming services that are available on that server. Remember that NordVPN doesn’t just unblock Netflix. It unblocks a host of other great streaming websites as well. Moreover, the VPN app will also show you which servers are the best for activities such as P2P filesharing. We just talked about torrenting. Of course, torrenting itself is no illegal. What you do with torrenting does, sometimes, make it illegal. Coming back to NordVPN though, some of you may ask “how does NordVPN do it”? The answer is again simple. NordVPN achieves all of this through its proprietary SmartPlay feature. This SmartPlay feature is toggled on in NordVPN app settings by default. Many other reviewers have also reported the same. That NordVPN indeed works with Netflix with a click of a button. Of course, there are other VPN services in the market that work with Netflix too. If you want more details on how to make NordVPN work with Netflix then go to this official help page. The company has 24/7 live chat as a form of customer support. There is also a ticket submission system in place. Expect your queries to get connected to a representative of the company within five minutes. From what we have gathered in this NordVPN review, the sales team at NordVPN is rather knowledgeable. And don’t seem like they outsourced to firms that don’t have decent HR. 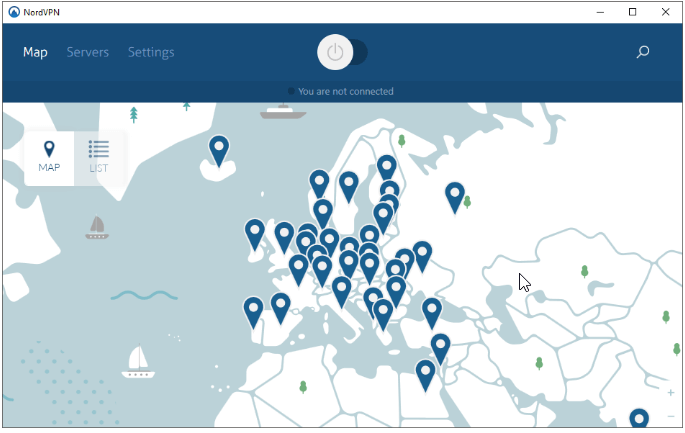 The official NordVPN website looks sleek. There is also a lot of options for users who like to search a lot. Users can access help sections and dedicated tutorial pages relatively easily. We just wish all VPN service providers had this comprehensive support section. This is also a great place to mention the fact that the official website and the NordVPN apps are totally ad-free. And since NordVPN has built up quite a reputation for itself, don’t expect unsolicited emails from them. There is also the facility to manually setup NOrdVPN on other platforms such as Linux and Blackberry 10. You can also setup NordVPN on Chromium. And if you really want variety, then NordVPN also supports various routers and NAS. If you’re a newcomer to the VPN business then you’ll surely appreciate NordVPN official guides that are available on the official website. The Android app looks pretty similar to the Windows client. And both give you a feeling of minimalism and functionality. Our research shows that the Android app does protect users against IPv4 leaks and WebRTC leaks. Well, NordVPN does not block IPv6 leaks. Users who want to have a lot of control and features are perfect consumers for NordVPN. The list of available servers is huge and specialized servers work great. NordVPN has great security and privacy features and the company does well to back that up with a zero-log policy. Most of the VPN servers are fast and reliable. And NordVPN has a beautiful looking application for both Windows and Android. Additionally, both apps have a great set of advanced features. But we can’t talk about NordVPN without mentioning its downfalls. NordVPN official apps, though complete, are clunky and irritatingly slow. With that said, you can always get your problems solved through the helpful customer support team. Thank you for the comment Sean. Since NordVPN is one of last few VPN services that regularly work with US Netflix, its stock has gone up a notch. NordVPN’s service is by far the worst. Stopped working, a waste of money despite talking to support for 1 week on a daily basis. NordVPN is ranked as the best VPN service not just by us but many other authority review sites. We’re sorry for your experience. You deserve your money back if NordVPN has stopped working fo ryou. I have tried ALOT of different VPN providers.. But in two years time the only provider coming close to NordVPN is ipVanished.. But imo NordVPN takes it home due to their location, Panama. Thanks for the comment Needy. IPVanish and NordVPN are really close in terms of what they offer.